Imageepoch, the Japanese role-playing game developer known for the Arc Rise Fantasia series and the salacious Criminal Girls, is working on its first PS3 game. But, it's not only a PS3 game. 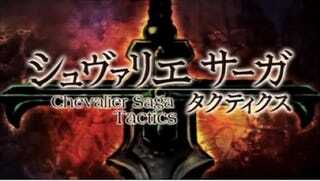 Dubbed Chevalier Saga Tactics, the game is also headed to smartphones and PCs (as a browser game). The title was unveiled today in Tokyo at Imageepoch's annual press conference. Set against a middle ages motif, Chevalier Saga Tactics is a simulation title that lets players command knights against an invading threat. The company is hailing the title as a "next gen browser game" due to its home console level of graphics. The PS3 version will apparently be the same as the other versions. Chevalier Saga Tactics will go into beta testing as a "freemium" title on the PC and be released on the PS3 at a later point.